St. Roch Artemisia liqueur is made in accordance with traditional recipes. 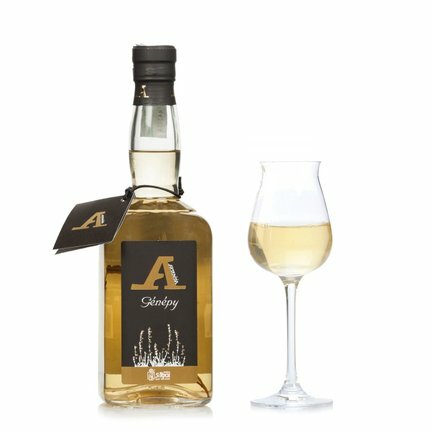 The flavour is the distinctive taste of glacier wormwood or Artemisia Glacialis, a herb that grows wild in this mountain region and imparts a strong character to the liqueur with an appealingly fresh and velvety sensation on the palate.Alcohol 42% vol. Savour this fine liqueur after dinner: enjoy the benefits of its digestive properties. Ingredients water, alcohol, sugar, infusion of Artemisia, Artemisia distillate and natural flavouring. For more information on product labels, please contact our Customer Service department. The information on the labels of the products may vary for reasons beyond our control, therefore, there may be discrepancies between the information on the site and that on the products delivered. Please always check the information on the product before consumption or use. Saint Roch is one of the most famous companies in the Aosta Valley, and the oldest distillery in the Valley: it was founded at the end of the 19th century, based on the ancient tradition of master distillers in the area. In the late 1960s the company moved from Aosta to Quart and, in addition to Sant'Orso grappa (a tribute to the patron saint of Aosta and the oldest borough of the city), it began producing typical liqueurs from the Aosta Valley, observing a central theme of tradition and quality.